I chose this book as a book of the month extra pick in October. I have read it and here is my review. All opinions are my own. 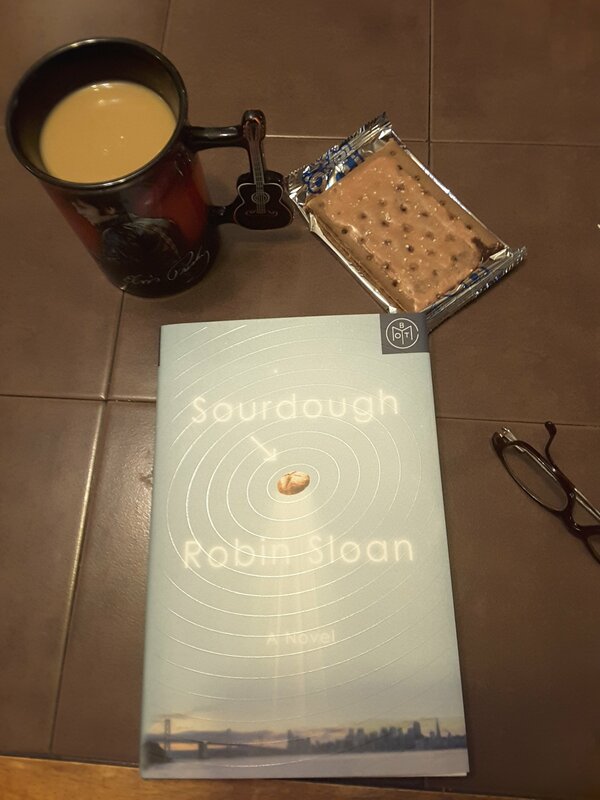 🌟🌟🌟1/2 Sourdough by Robin Sloan. I didn’t hate it, I just didn’t love it either. I went into this book with high expectations, after reading Mr Penumbas 24 hour Bookstore I expected more from Sloan. The main character Lois was easy to attach to but I found myself detaching from the other characters. The entire book is written well and there are some proof positive facts about how sourdough bread is made and how the exact science of the starter for that bread works. There are also some computer programming ideas and a might be love story all tied into this one. Review is also posted on Instagram @jasonnstacie, Goodreads/StacieBoren, Library Thing, and my blog at https://readsbystacie.com.